Weather balloons better watch their backs. A new weather forecasting tool could soon find itself part of the day-to-day operations of the National Weather Service (NWS). The instrument, called Atmospheric Emitted Radiance Interferometer, or AERI, measures temperature, water vapor and trace gases (like ozone, carbon monoxide and methane) in the lowest layer of Earth’s atmosphere, the troposphere. Now, an AERI project led by Tim Wagner, a scientist with the Cooperative Institute for Meteorological Satellite Studies (CIMSS) at the University of Wisconsin–Madison, has been chosen for funding by the National Oceanic and Atmospheric Administration (NOAA) Joint Technology Transfer Program. The program is an effort to accelerate technological advances into application. The boundary layer is that part of the troposphere that is directly influenced by Earth’s surface. Wagner says he and other scientists at the UW–Madison Space Science and Engineering Center (SSEC) have experimented with AERI for years and they’ve already demonstrated AERI observations could support the needs of operational weather forecasters. Currently, the standard for collecting atmospheric temperature and moisture information is with weather balloons, but they are launched only twice a day, at scattered locations, and do not measure small-scale changes in the atmosphere that are necessary for accurate, location-based forecasts. Continuous measurements from a ground-based instrument such as AERI, however, could. Wagner hypothesizes that assimilating precise AERI observations from the boundary layer into computer models will provide a much better picture of low-level moisture changes. That additional information will allow the NWS to issue better forecasts about quantity and location of precipitation — information that could have a huge impact for aviation, agriculture, flooding, or anyone who relies on or needs water information. To the farmer whose crops need rain, it doesn’t matter that a forecaster accurately predicted an inch of rain if it happened 10 miles to the east of his fields, adds Wagner. That farmer’s crops still need water. Wagner has received funding for a two-year study. During the first year, he and co-investigators Jason Otkin (CIMSS) and Thomas Jones (University of Oklahoma) will assimilate data from the 2015 Plains Elevated Convection at Night (PECAN) field experiment where a network of AERIs was distributed across the Great Plains. 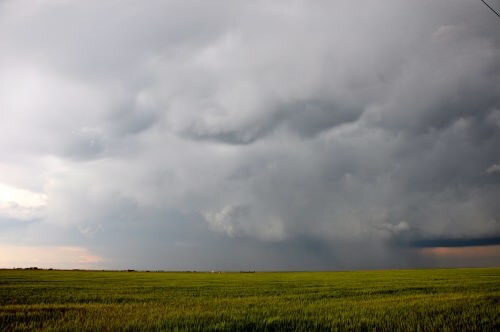 Numerous weather systems moved through the plains region during the six-week experiment, providing ready-made cases and observations that can be tested in models. 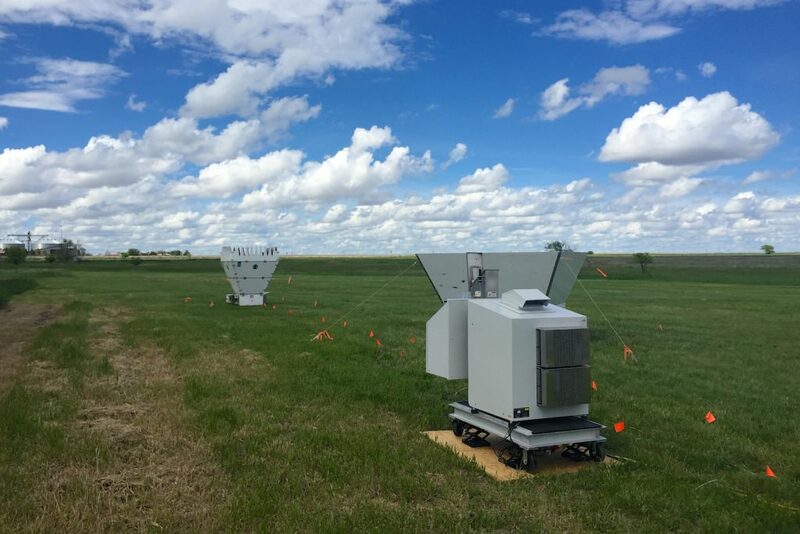 In the second year, the researchers will take advantage of a network of AERIs being deployed across the Southern Great Plains as part of the Department of Energy’s Atmospheric Radiation Measurement (ARM) field measurement program. “What we are going to do is assimilate those data in real time in the second year into an experimental weather model that will be run in the spring at the Hazardous Weather Testbed,” says Wagner. NOAA’s Hazardous Weather Testbed is a joint project of NOAA’s National Severe Storms Laboratory and NOAA’s NWS forecasters. At the testbed, researchers and forecasters will have the opportunity to evaluate the model. Their constructive feedback will help Wagner and his team improve it. The turn-around time, from data collection to analysis to generating results, for the Joint Technology Transfer program, is very short. However, the researchers are confident that AERI – already proven to be of value for operational meteorology – will provide valuable data for assimilation into forecasts, too, supporting the case for a much larger network of AERIs across the United States.